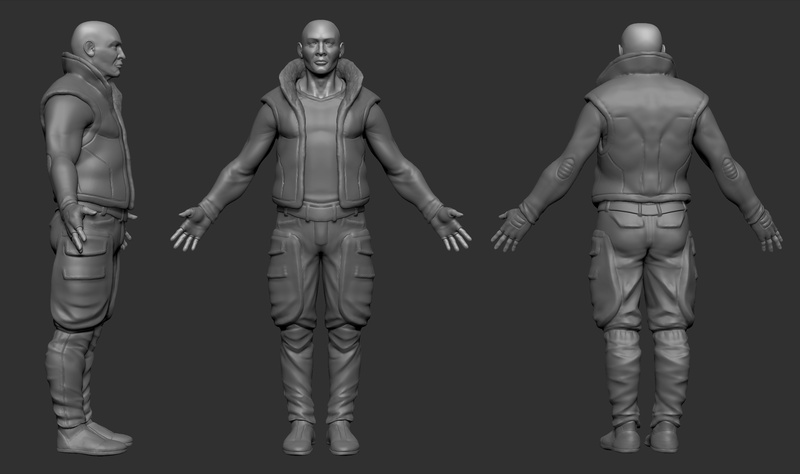 I did a first detail pass on some of the clothes, mainly the vest and the short sleeve jacket, or however you want to call it. That one is still in dire need of some TrimDynamic, apparently. I also haven’t added any fine details yet, like buckles, buttons, zippers and the like, but they’ll come, so bear with me. 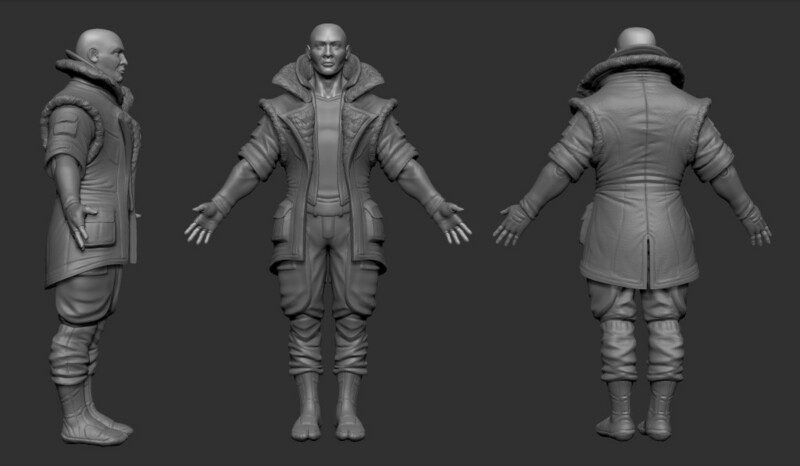 This entry was posted in 3D, BLOG and tagged 3D, ZBrush on November 23, 2013 by Ralf. 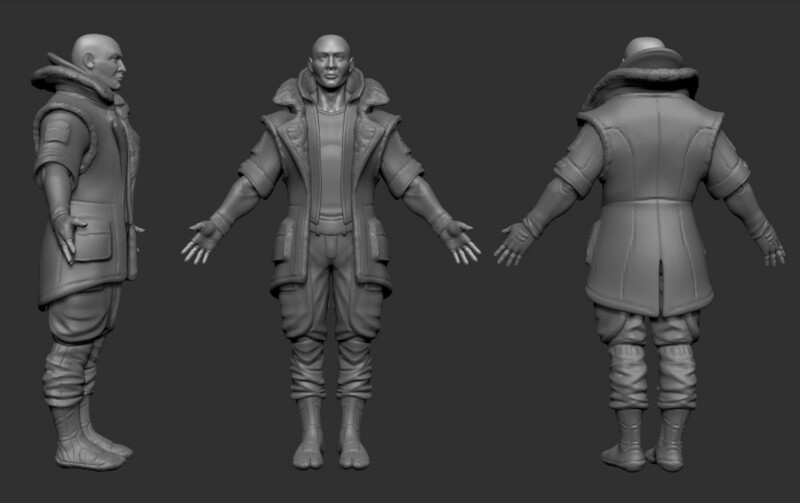 I’ve started dressing up the guy I began sculpting. I don’t have a super clear idea yet, as to where to take him, but here’s a couple shots of his fashion evolution. What I do know is, that I want him to have multiple layers of clothes and that he’s probably not someone you’d run into out on the streets (unless you live in Brooklyn, maybe). At this point, I’m still just blocking out his clothes and trying to find some interesting shapes and styles to work with, hence the despicably overused symmetry and neglect of TrimDynamic. 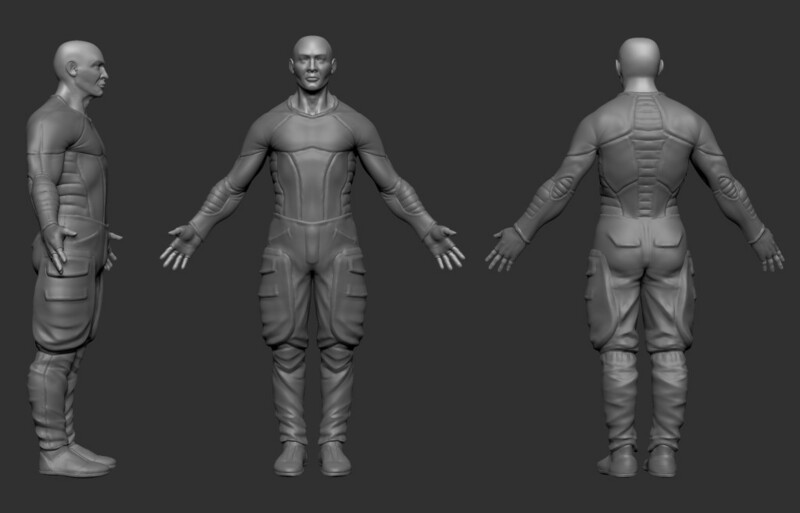 This entry was posted in 3D, BLOG and tagged 3D, ZBrush on November 21, 2013 by Ralf.